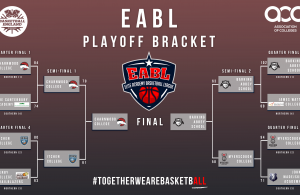 Week 7 of the EABL season saw Itchen snap Alec Reed’s undefeated start to the season, while there was also narrow wins for CoLA and James Watt. 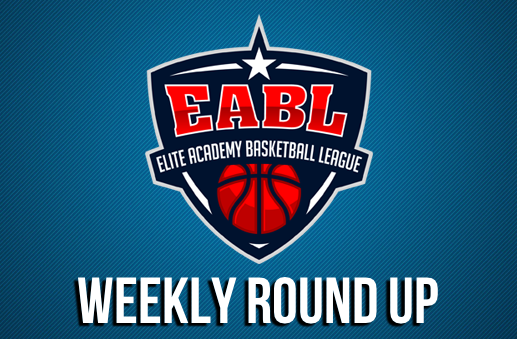 Check out all the action in this week’s EABL Weekly Round Up! A three game slate in the Northern Conference was tipped off by Charnwood welcoming SGS, with the hosts fresh off their important win over Myerscough last week. Charnwood grabbed a 85-56 home win in this one, as SGS came out of the gates aggressively which got the best out of the East Midlands hosts. Josh Lloyd and Greg Wild followed on from strong performances in the NBL at the weekend with solid shooting efforts, pacing Charnwood in scoring with 15 and 14, respectively. SGS big man Sam Chigbo led their effort with 15 points in the loss. Myerscough bounced back from their defeat against Charnwood a week ago to improve to 4-1 by beating Sheffield 116-48, as Sam Keita led all scorers with 22 points. Bradley Kaboza added 18, while Mate Okros and Callan Low each chipped in 16. Reyad West and Sam Taylor led Sheffield with 13 points apiece, as they drop to 1-5 after losing consecutive games. The final game in the Northern Conference in Week 7 saw saw James Watt College make the trip up the M6 to face the Manchester Magic Academy. A low scoring game went the way of the visitors as it was James Watt that took a 47-57 victory. Manchester were led by 11 points from Jason Ani, as Josh Grant had 10 and Dan Gargan chipped in 9. In addition to Wakeem Richardson’s 18 point effort, James Watt had contributions from Ian Rodriguez with 15 and Daniel Penkov who had 12. 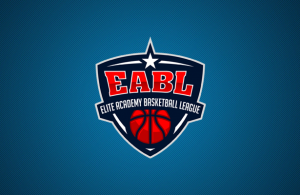 The action in the Southern Conference was highlighted by Alec Reed Academy suffering their first loss in the EABL, as they went on the road to Itchen and were downed 92-89 in a tightly contested game, as Peter Turay led all scorers with 33 points. A back-and-forth game throughout came right down to the wire in the final moments as Alec Reed’s to closed the gap to just one with a minute to play, before Rhys Sundimalt finished at the rim to regain a three point for Itchen. Alec Reed came out of a timeout to hit huge triple to tie the game with just 24 seconds remaining, which caused Itchen to use their final timeout. Turay got fouled and went to the line, converting one-from-two and giving Itchen a one point lead, 90-89. Turay then made a fantastic defensive play, resulting in a jump-ball with the possession arrow favouring Itchen. Alec Reed had to foul, as Titas Zydelis went to the line and converted both free throws to give Itchen the decisive lead at 92-89. A late effort by Rio Webster to tie the game from deep would be unsuccessful, as Itchen took a hard-fought win. City of London Academy pulled out a win in another game that came down to the final possession as they hosted Copleston. The lead changed hands numerous times throughout the game, but the final stanza saw an offensive outburst from CoLA, as their scoring was spread amongst five players. The hosts dug in on the defensive end with the game going down to the wire, as they hung on for a 60-58 win to snap their losing streak. CoLA were led by 17 points from Jordan Okonji, while Patrick Lanipekun supported with 10. Veron Eze led all scorers with 25 points for Copleston, as Ben Winter added 12. 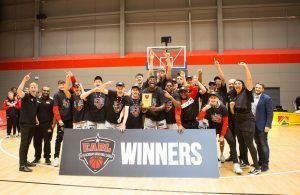 Barking Abbey School continued their unbeaten record in the EABL Southern Conference with a convincing 122-48 win over BHASVIC on Wednesday afternoon. Barking started hot and continued with their strong play as they won all four quarters, despite a BHASVIC fight-back mid-way through the contest. Thomas Sowoolu led the hosts with 19 points, while BHASVIC were led by Ben Hayward and Lucas Bitton who had 12 apiece. SEEVIC fell to their six consecutive loss as an efficient John Madejski Academy performance gave the visiting Berkshire side a 29-98 victory. After a solid start from the hosts, JMA called a timeout and came out firing, with SEEVIC unable to stop the second chance opportunities that the visitors were creating on the offensive boards. The travelling side were comfortable playing ahead, as they built an even more demanding lead as the game progressed. Adrian Nosa Castillo went for a game-high 27 points to pace JMA on the day.